DadWare Bondaroo Baby Wrap T-Shirt | Skin to Skin Kangaroo Care Bonding Shirt – Soft, Comfortable, Safe, Stylish | Sleep More, Cry Less, Promote Bonding! Baby Shower Gift NICU Must Have! PROMOTE ACTIVE BONDING: This is a revolutionary skin-to-skin bonding shirt for father & child. 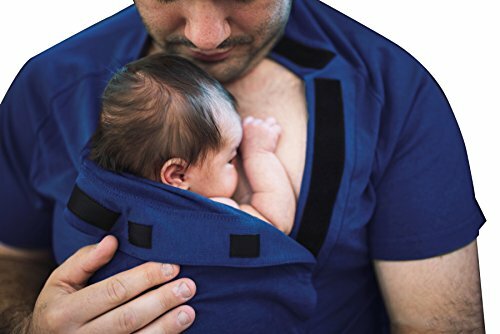 Scientific research shows that skin to skin bonding is a critical experience for a Dad and their newborn and infants to have, and the DadWare Bondaroo baby sling/wrap t-shirt solves this need! 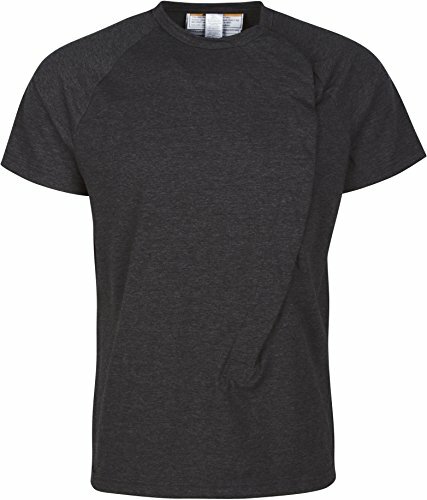 BUILT FOR COMFORT: This high-quality, easy to wear shirt is the most comfortable baby wrap/t-shirt on the market! Don't sacrifice comfort - treat you & your baby to the essential DadWare Bondaroo bonding shirt/baby wrap! HIGH-QUALITY & SAFE MATERIALS: This Kangaroo Care bonding shirt is crafted with a blend of super soft bamboo viscose, cotton, and spandex. In addition, it utilizes High Technology Velcro that is soft, smooth, and ultra-safe for use around newborn's delicate skin STYLISH: Each shirt is made to fit comfortably and look great! 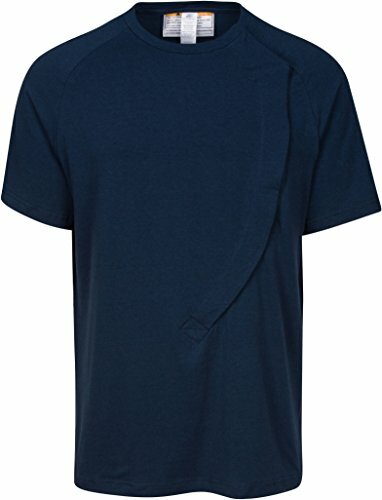 There is a functional flap for easy access to the Dad's chest, yet it is discrete so that the shirt can be worn in style when not being used for the baby LOVE: GIVE YOUR BABY THE CARE THE CARE THEY DESERVE! Skin to skin contact stabilizes baby heart rate, decreases crying, improves breathing patterns, & prompts better bonding. Perfect for the NICU!